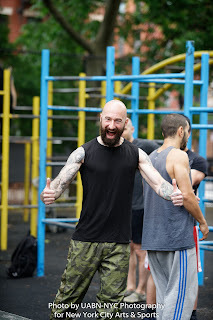 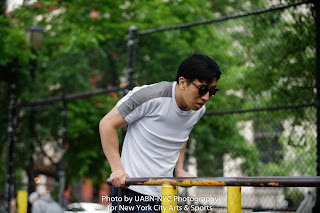 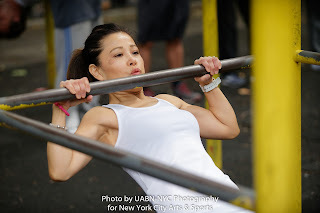 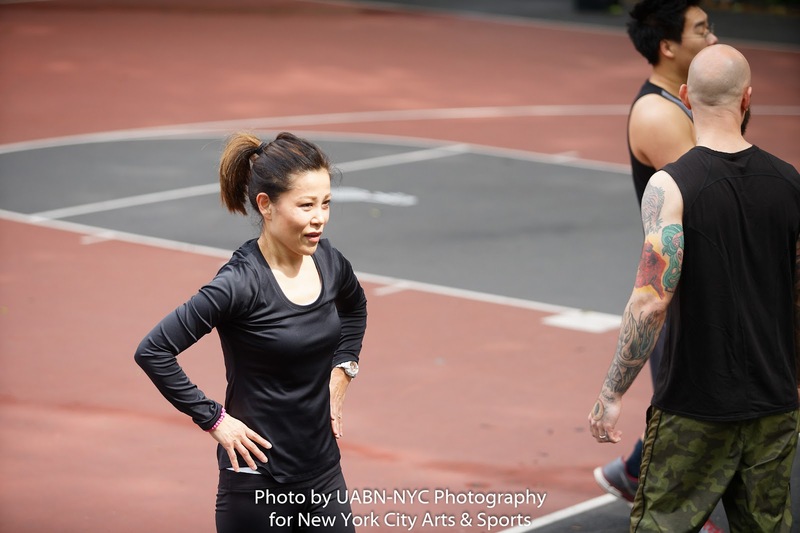 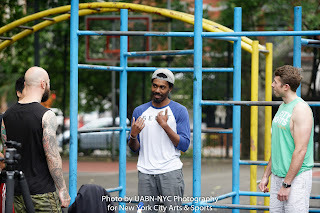 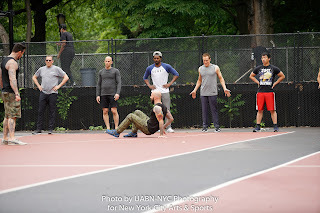 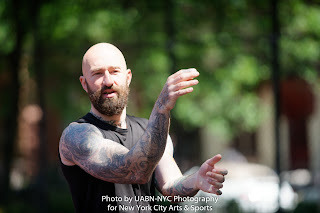 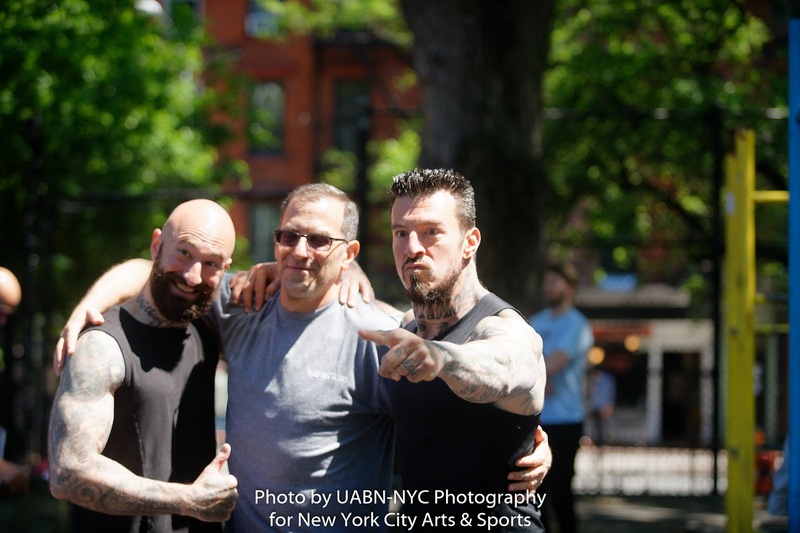 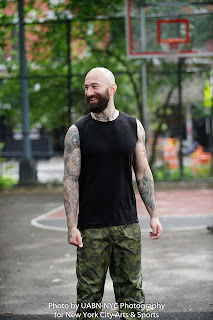 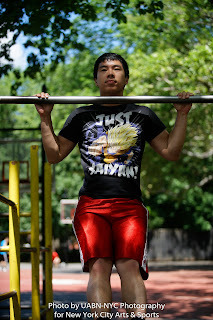 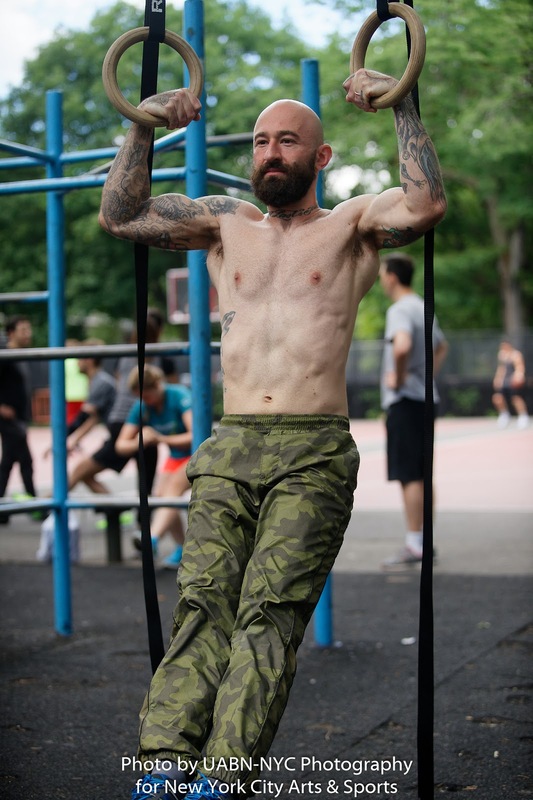 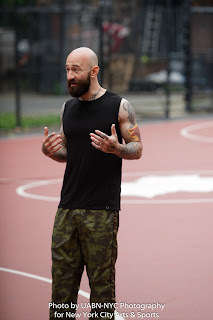 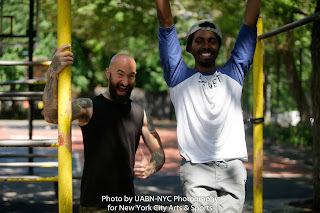 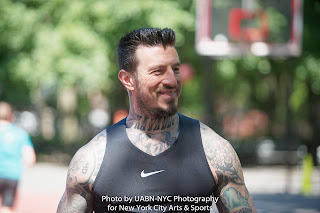 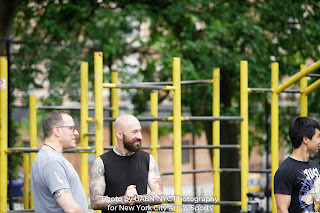 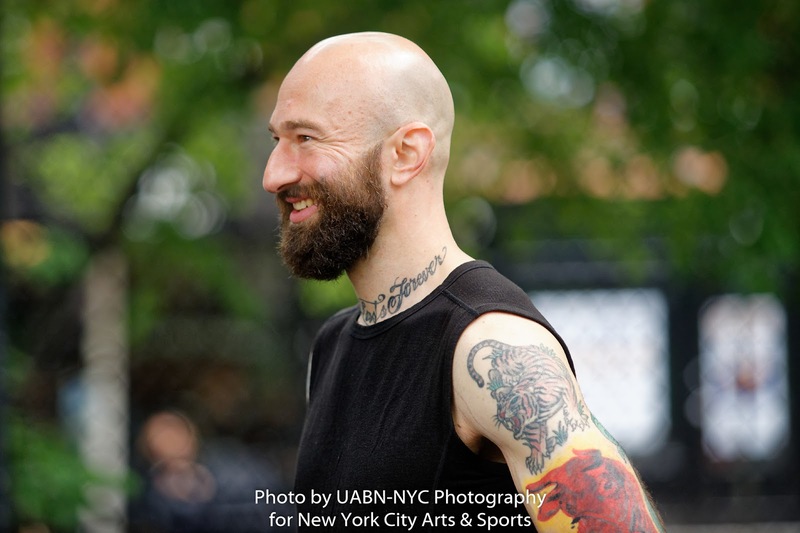 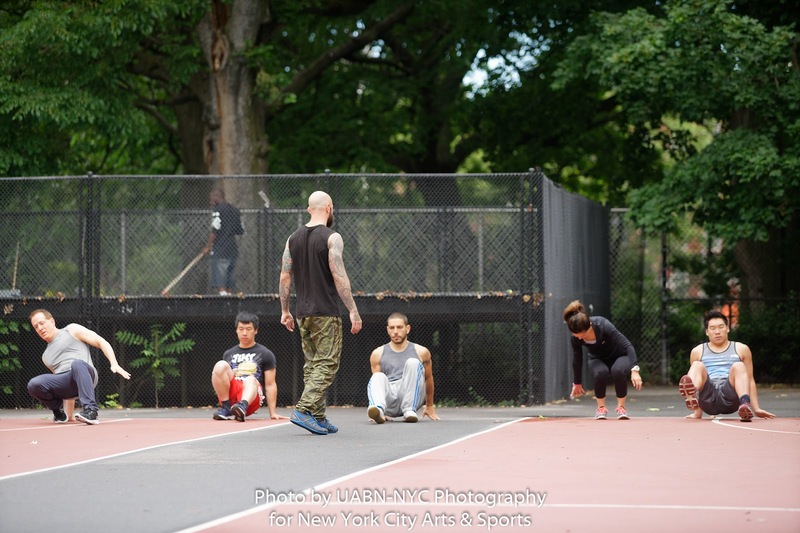 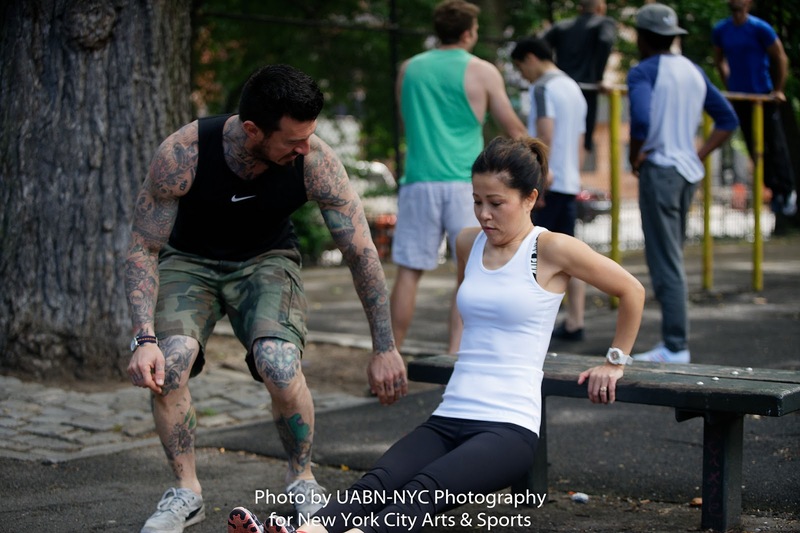 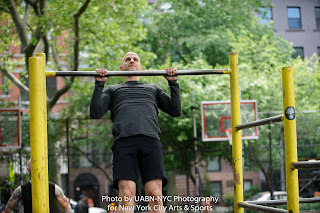 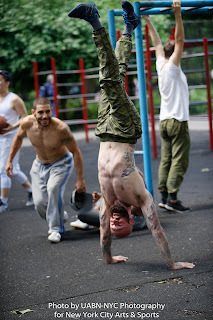 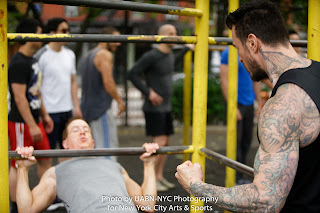 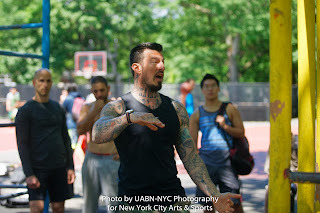 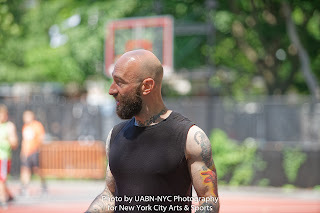 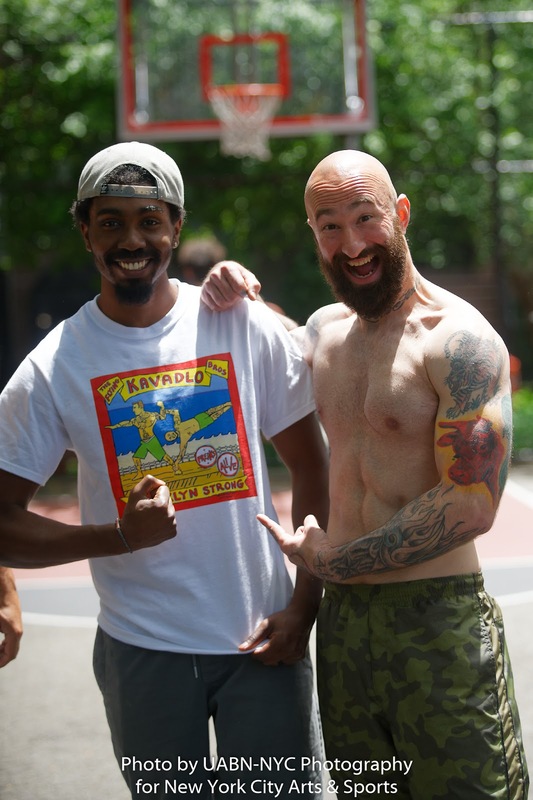 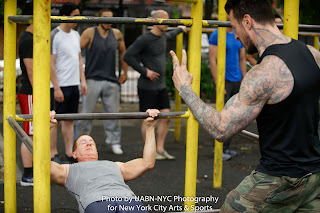 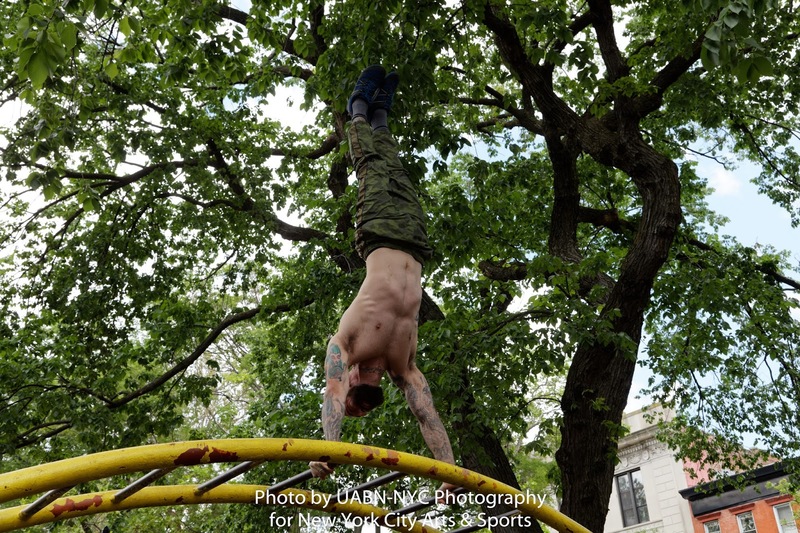 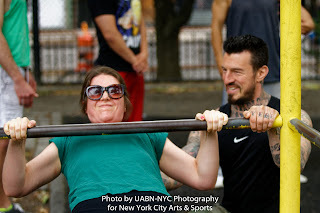 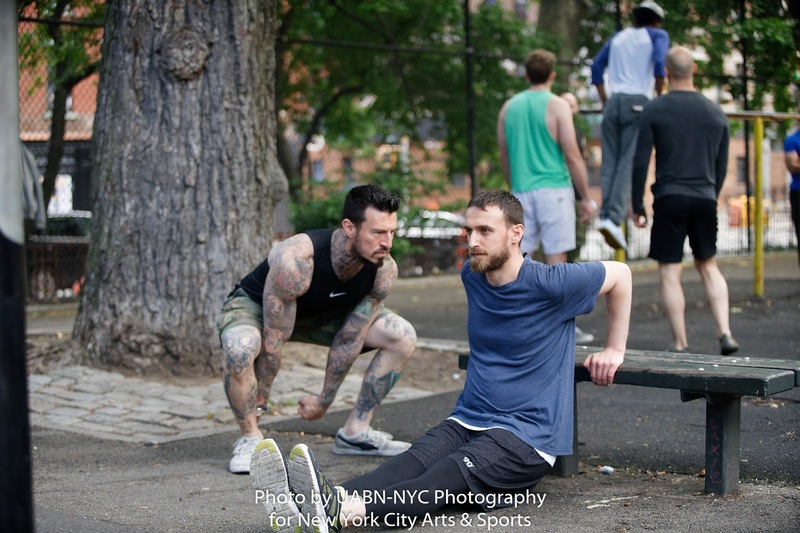 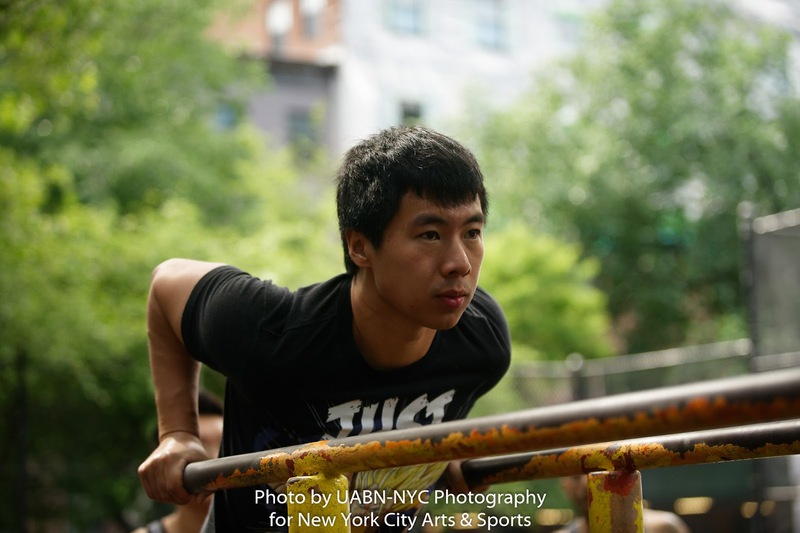 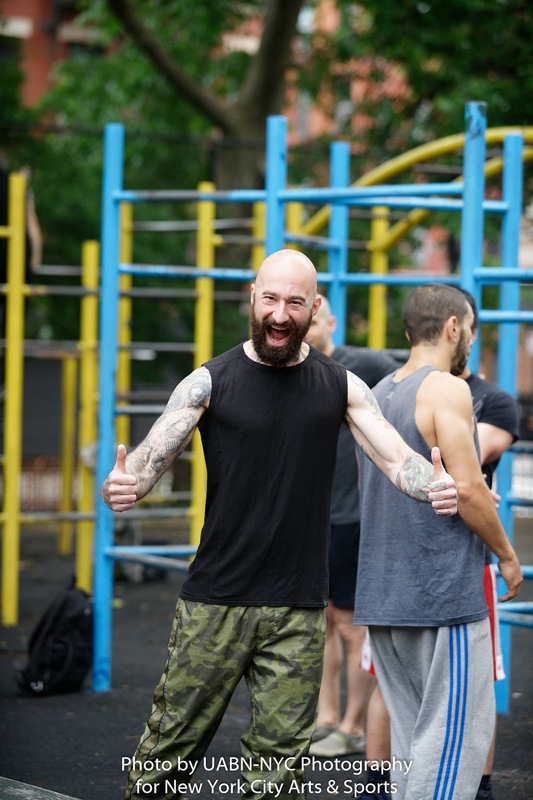 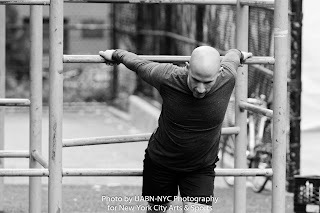 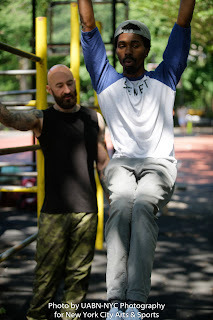 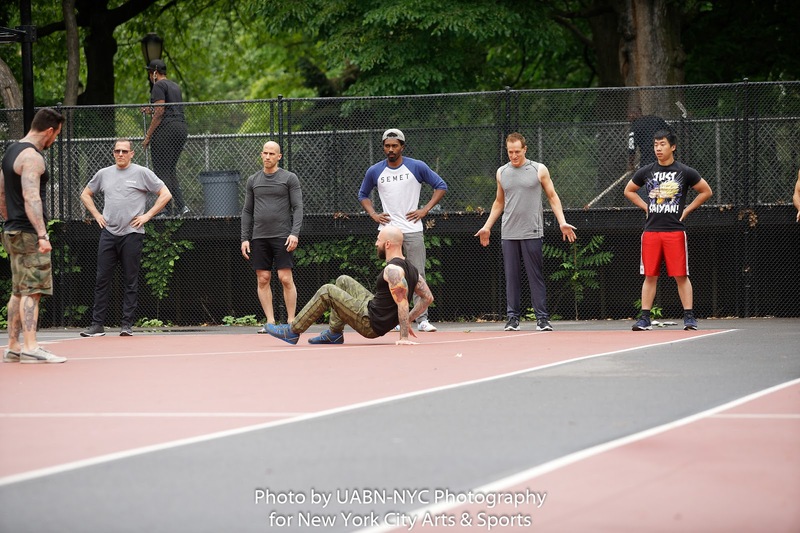 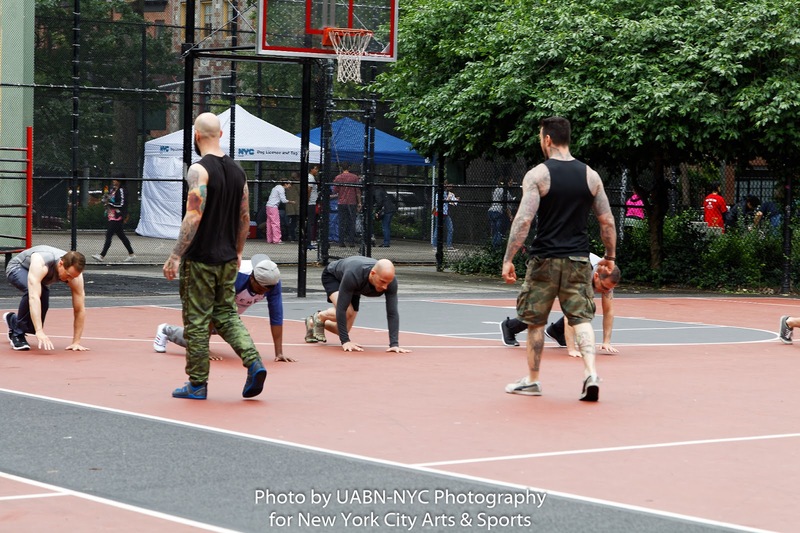 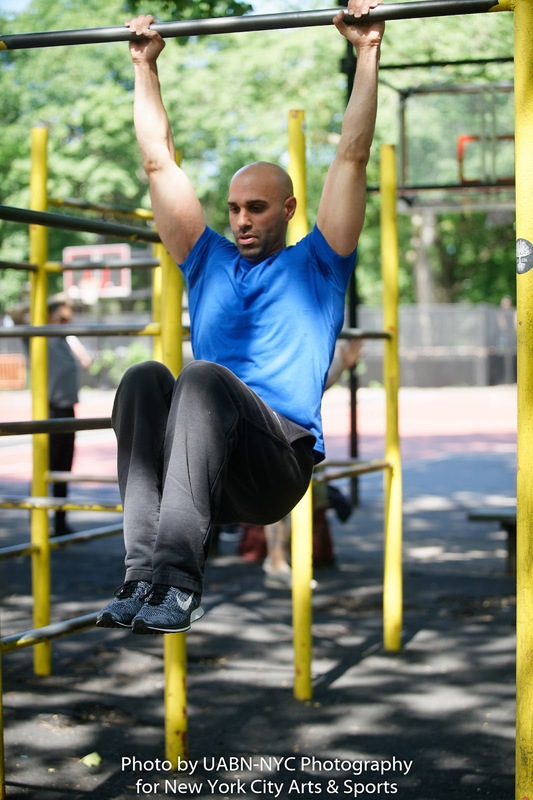 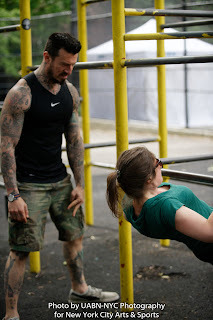 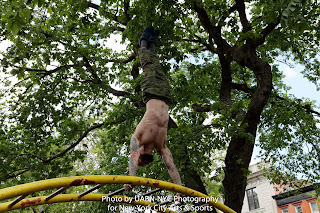 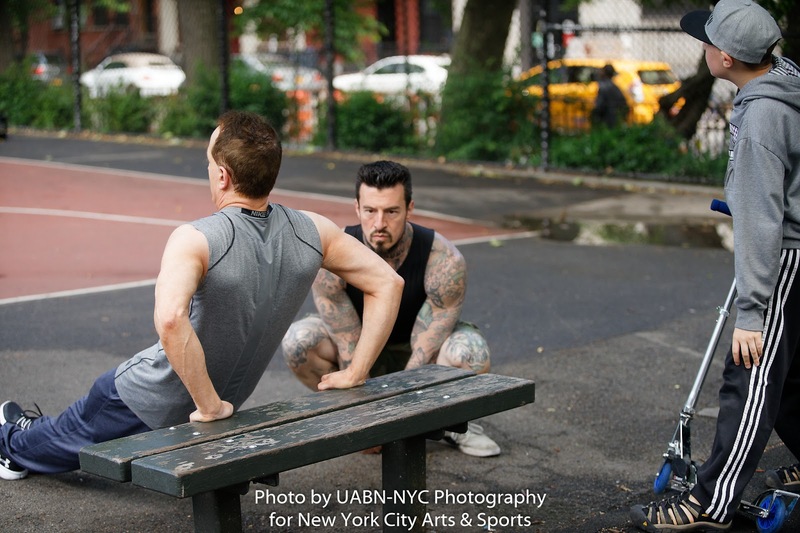 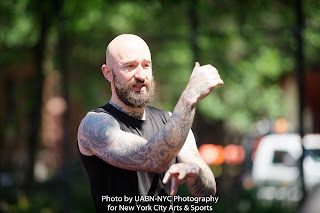 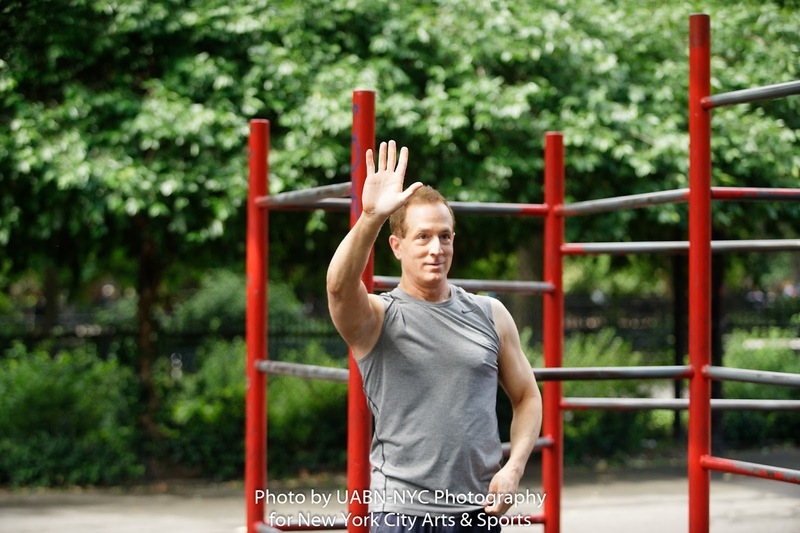 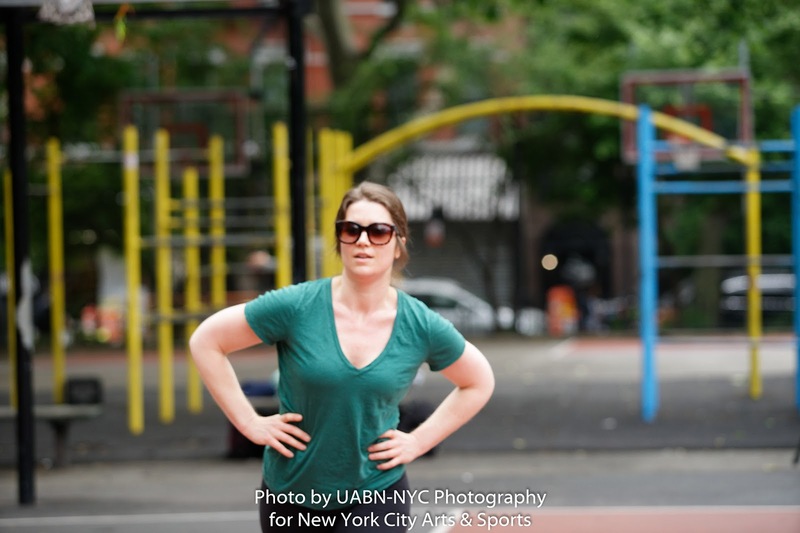 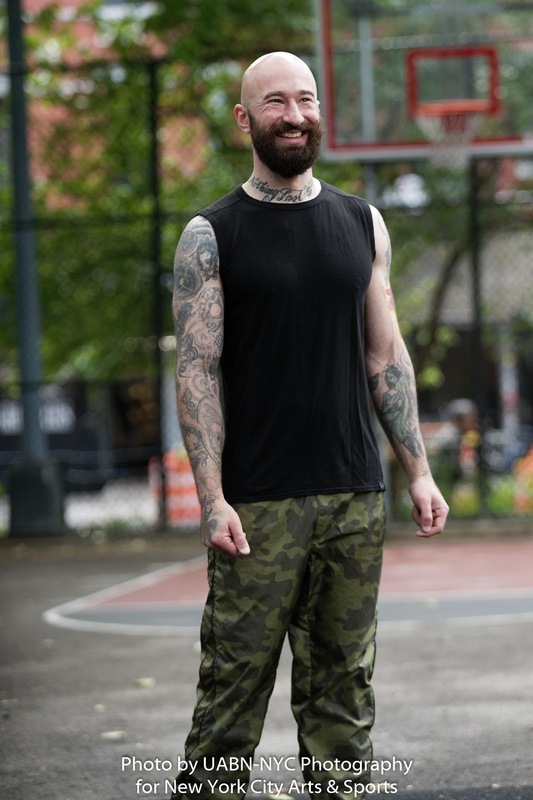 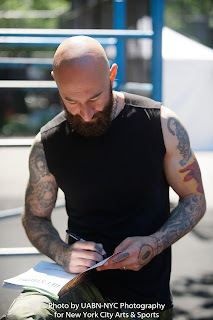 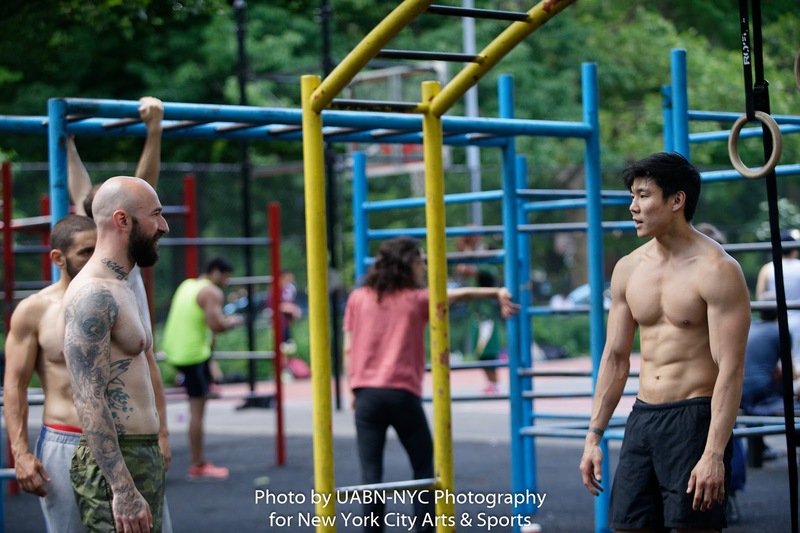 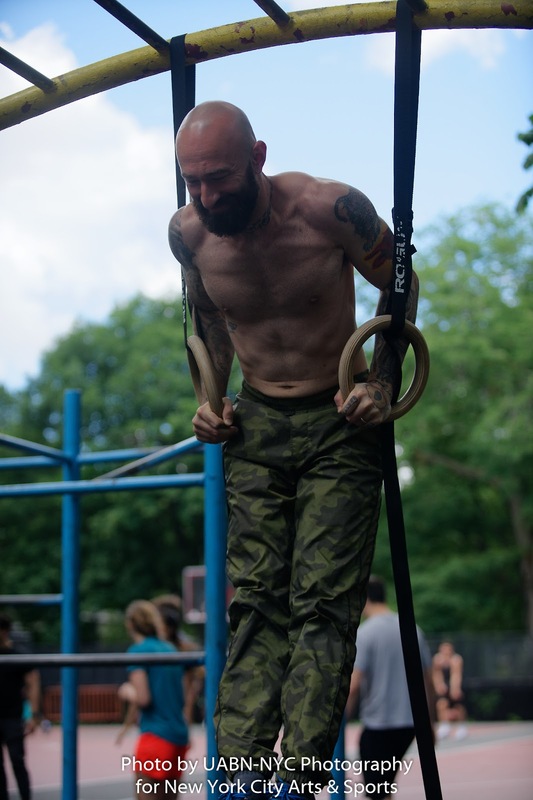 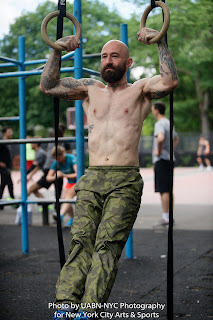 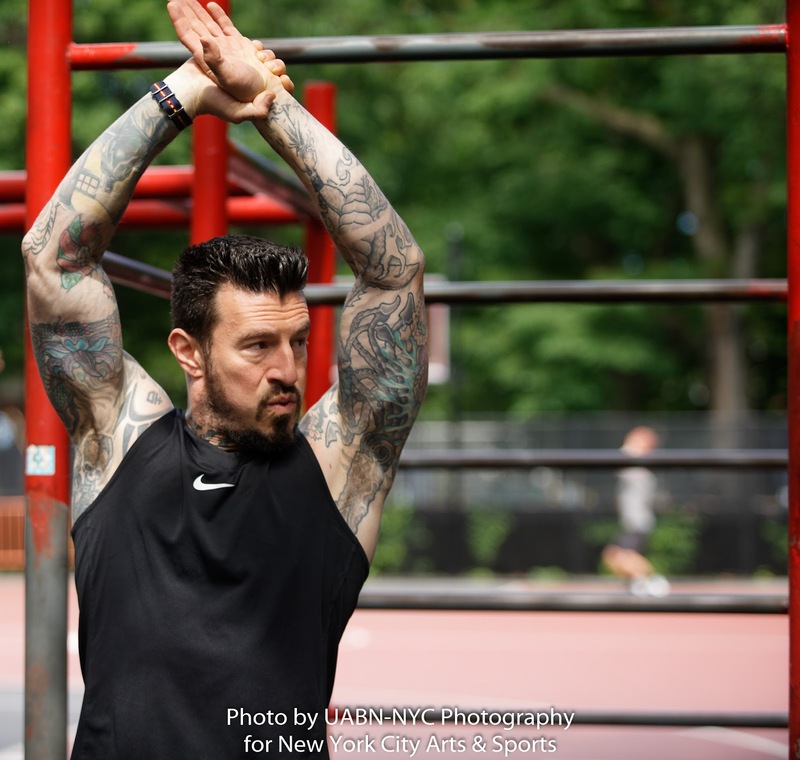 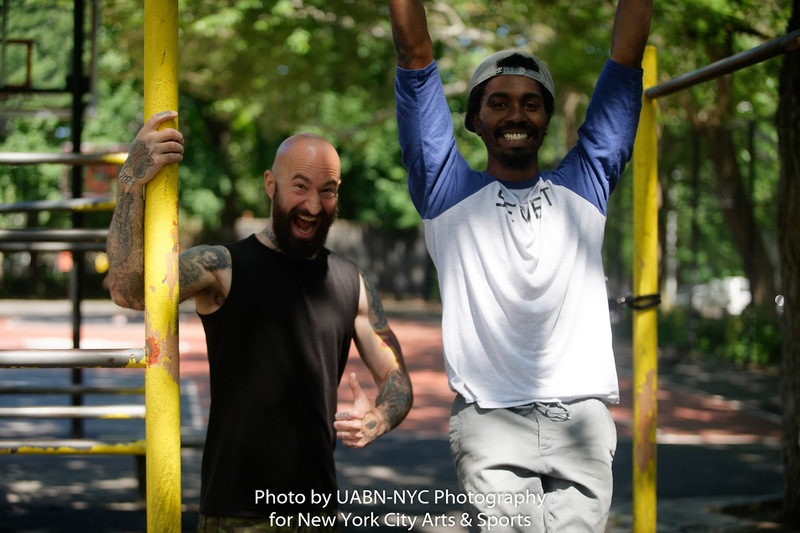 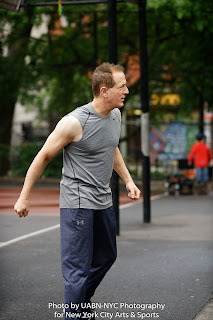 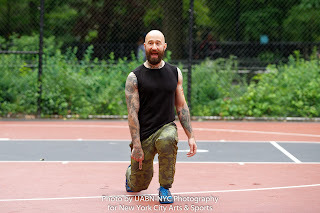 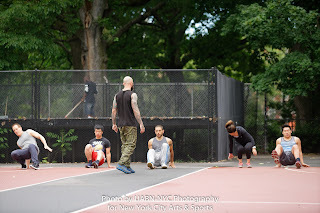 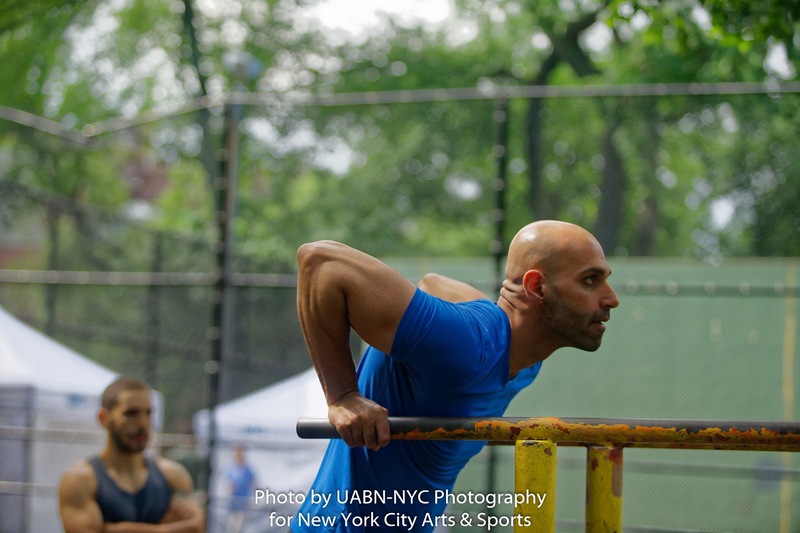 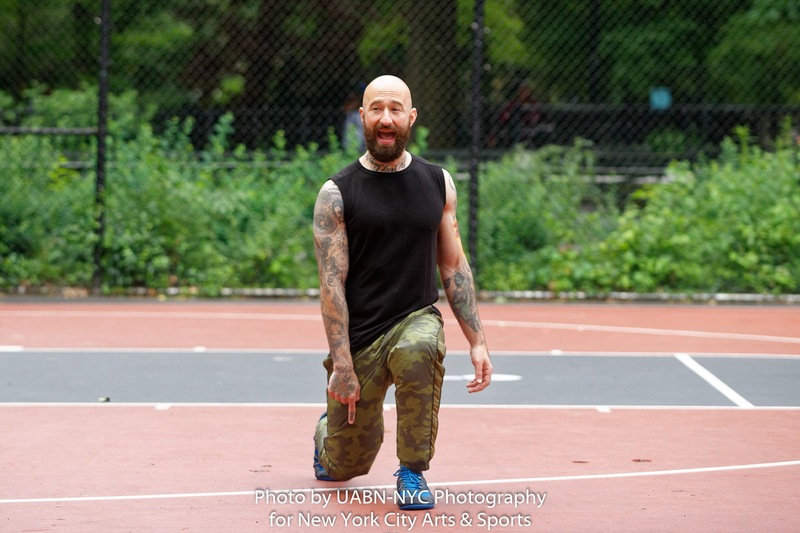 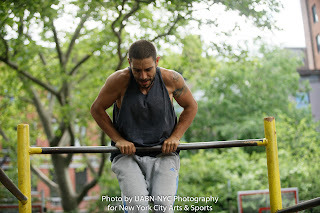 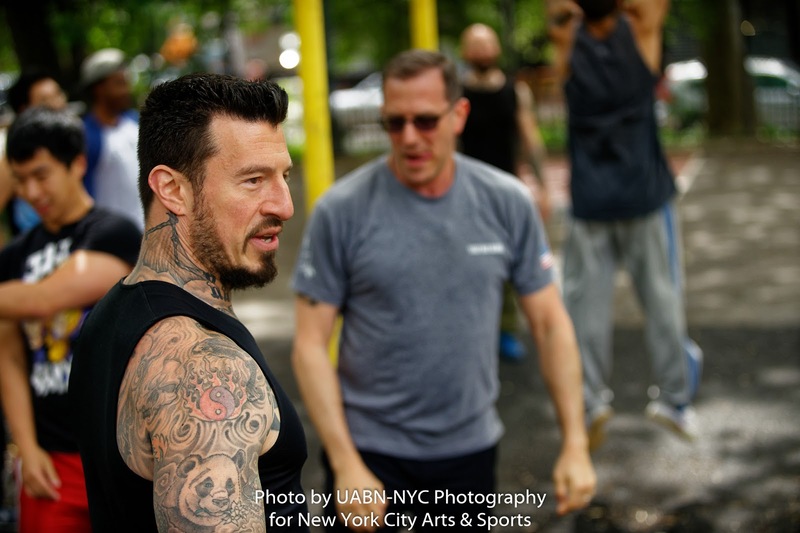 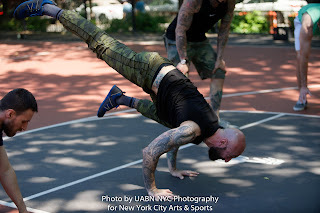 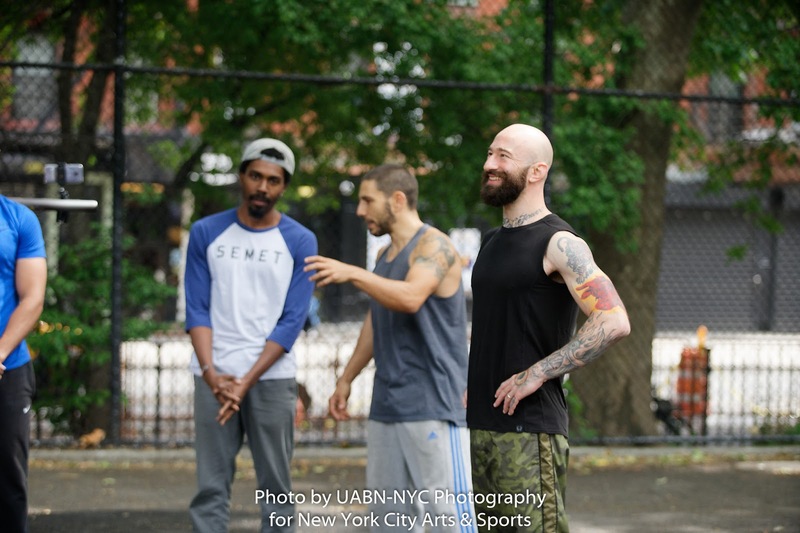 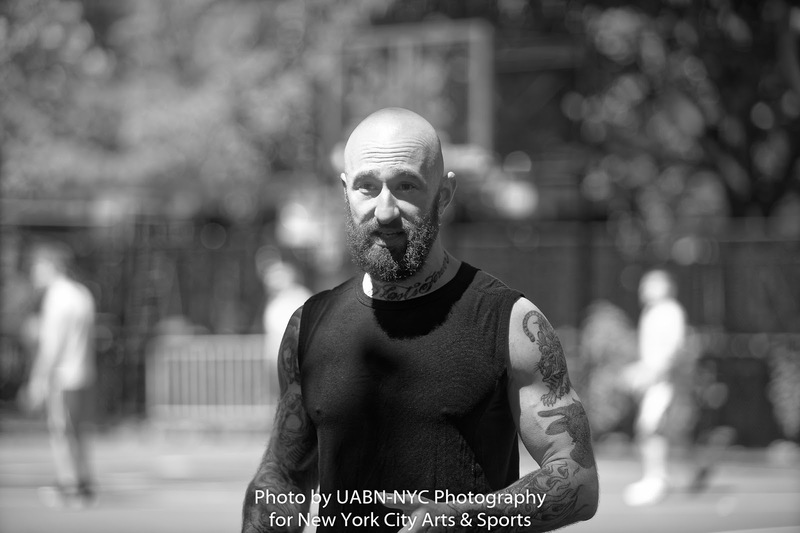 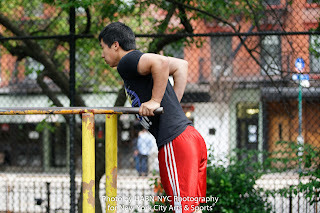 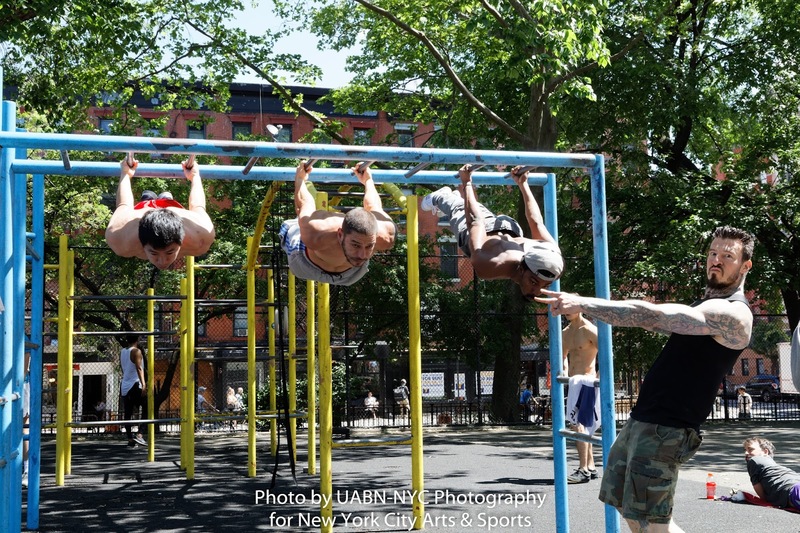 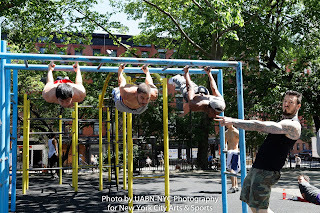 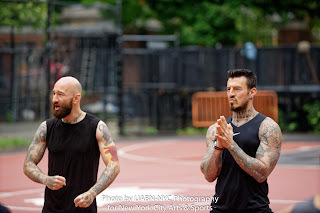 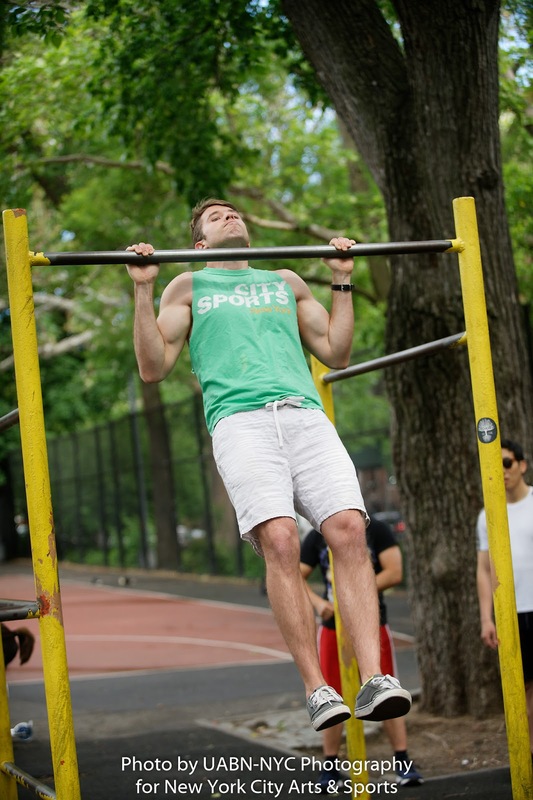 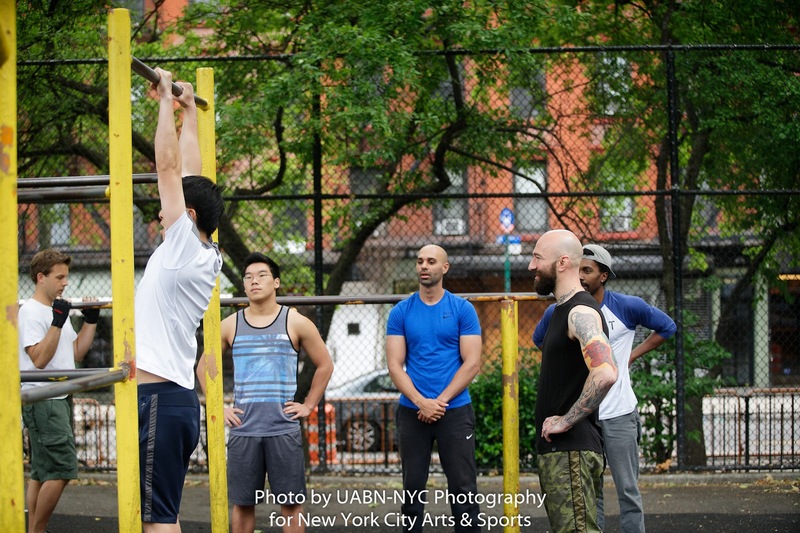 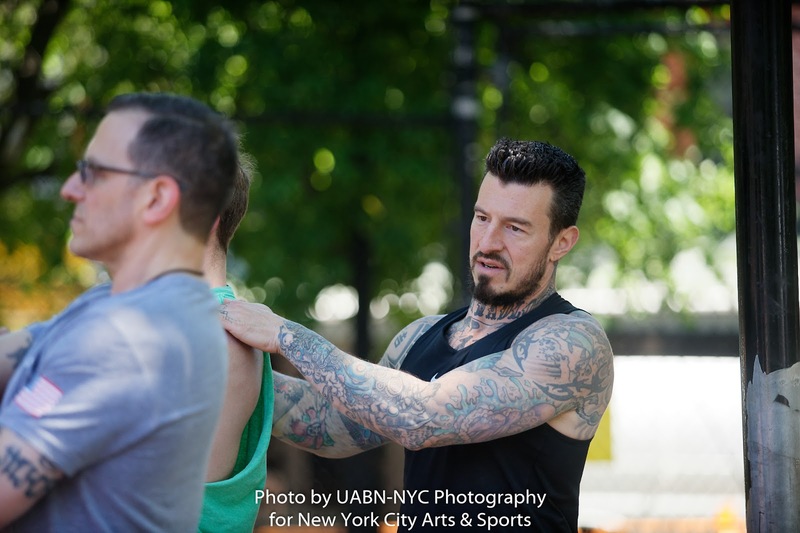 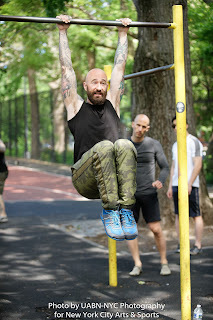 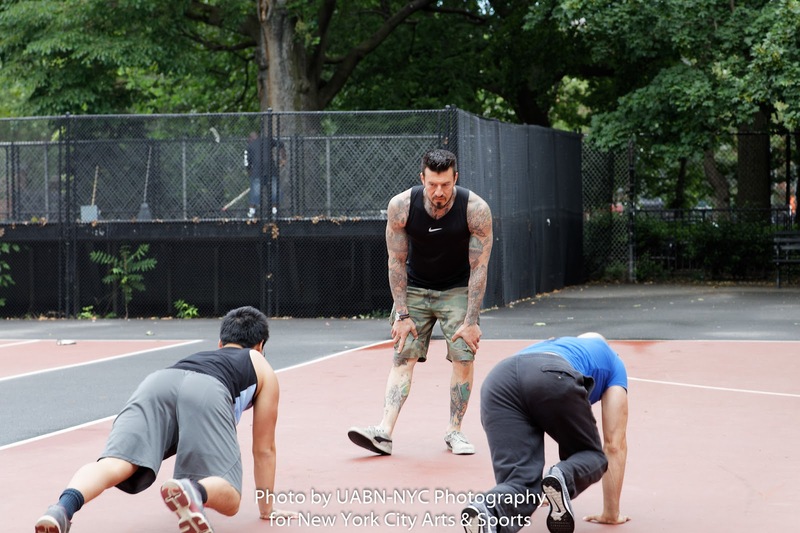 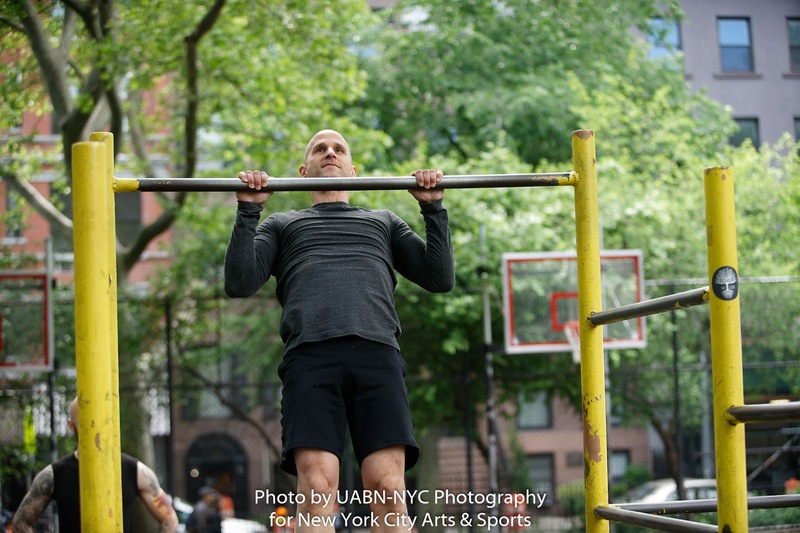 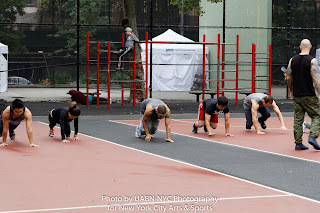 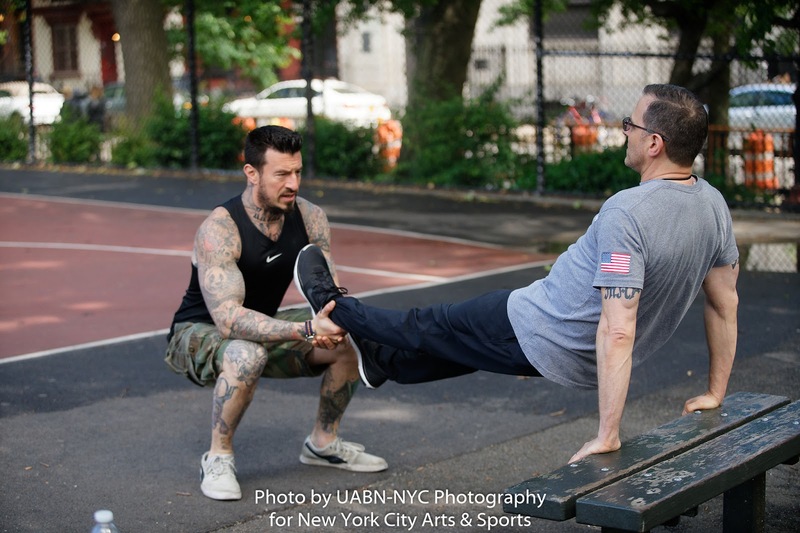 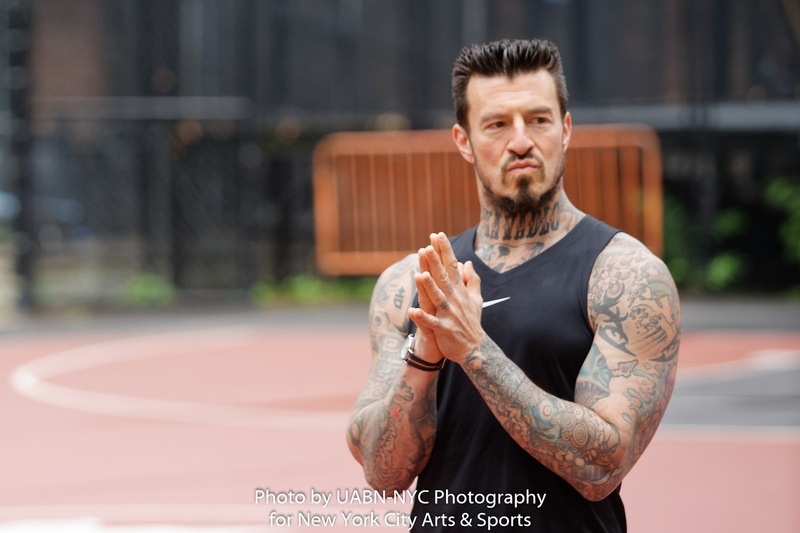 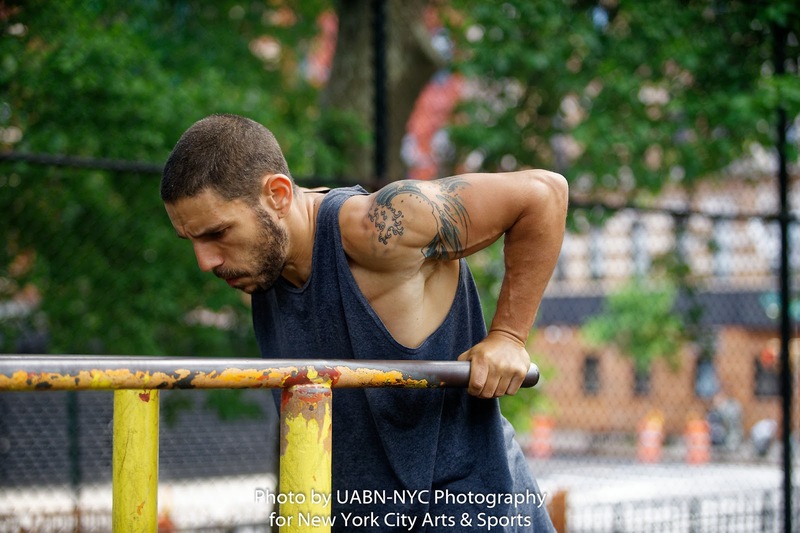 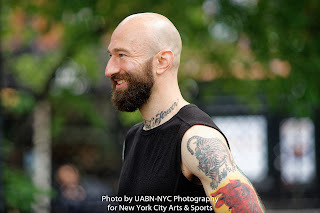 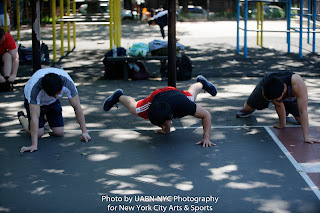 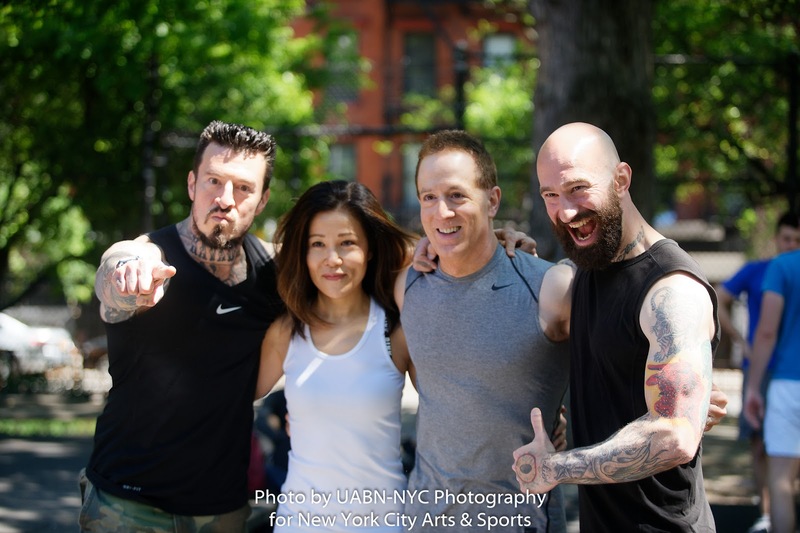 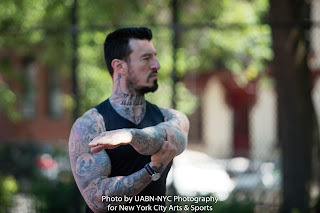 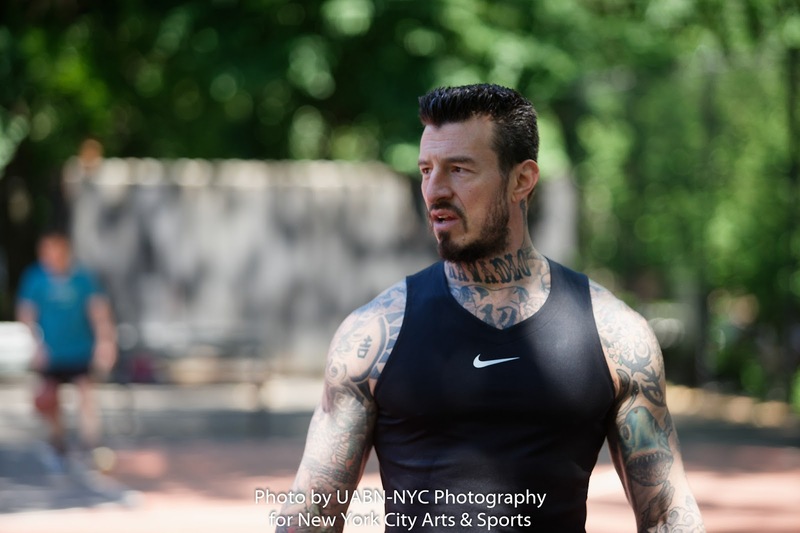 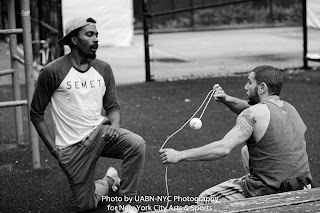 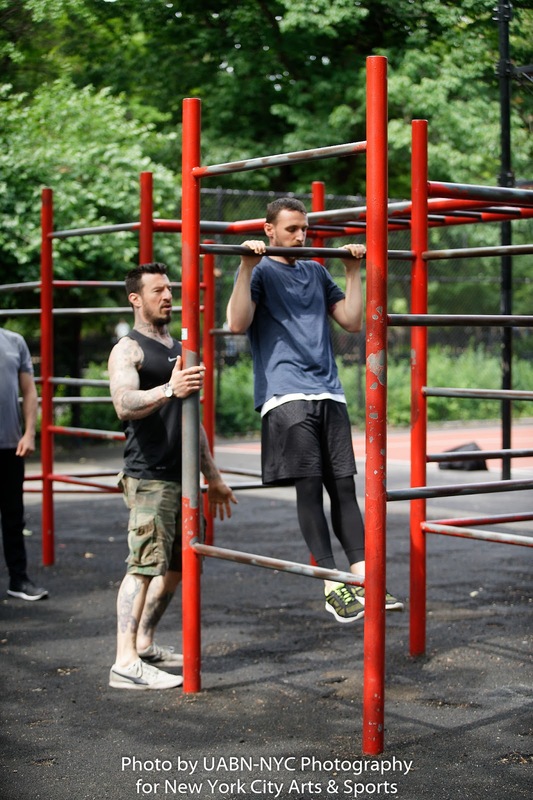 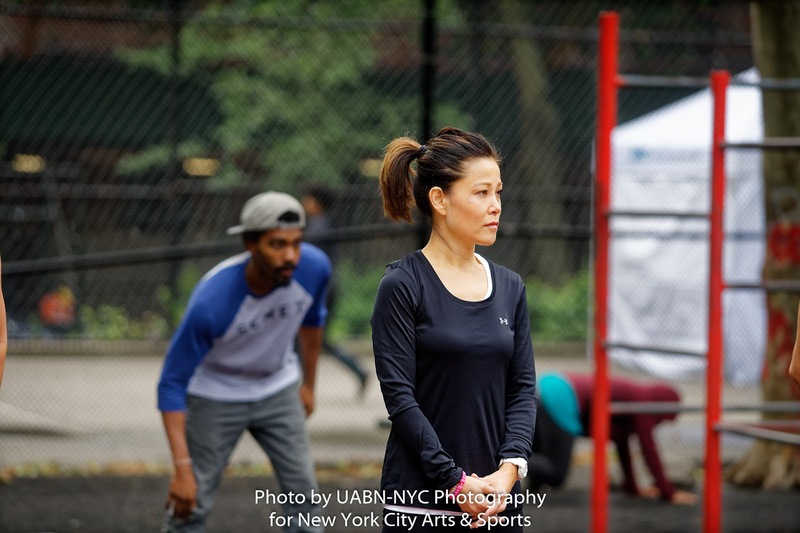 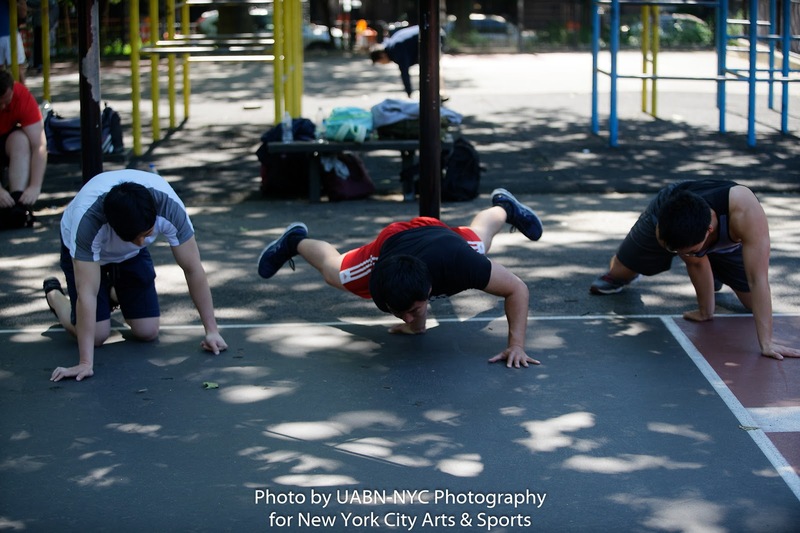 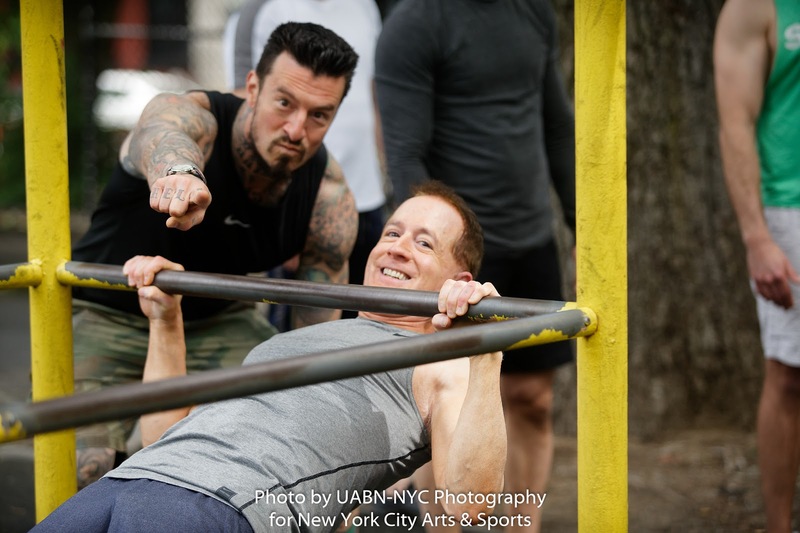 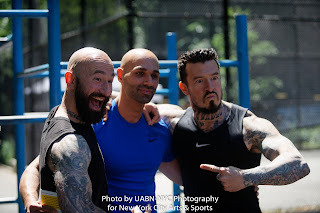 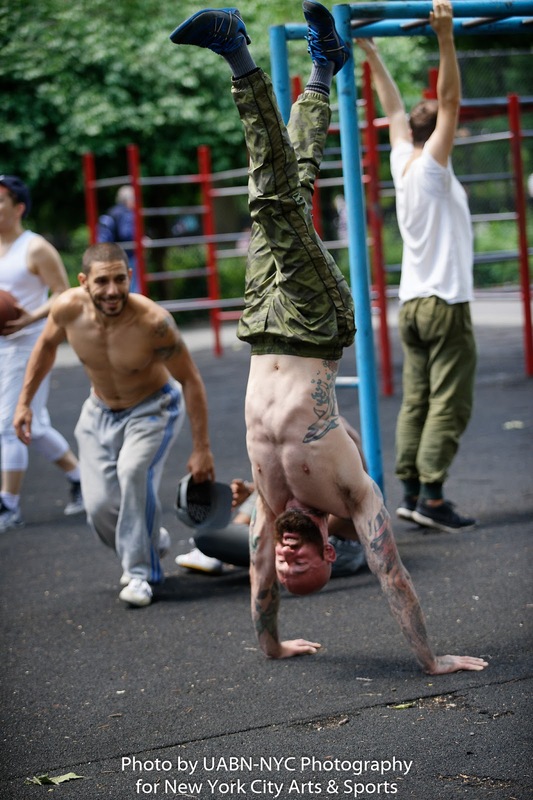 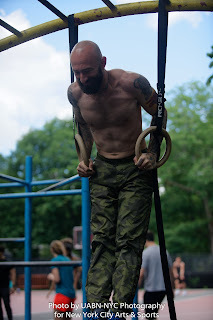 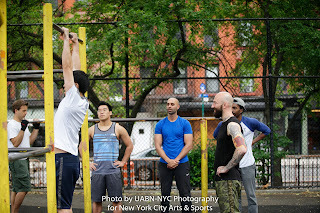 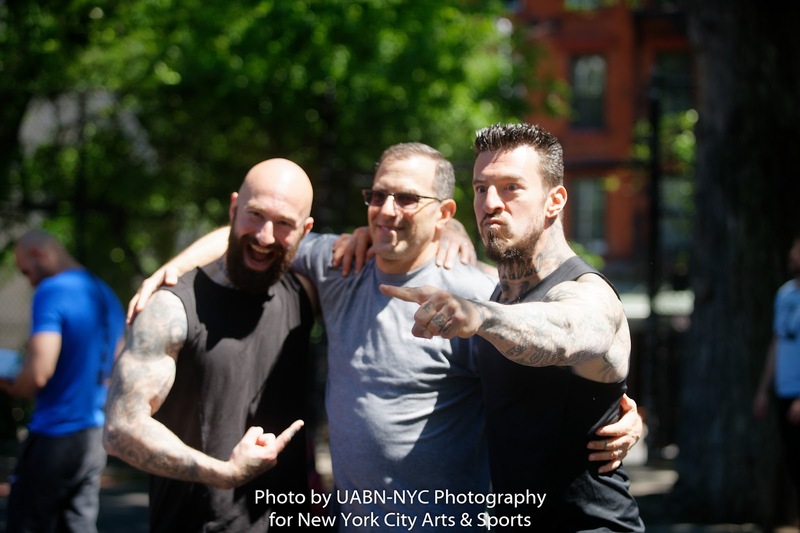 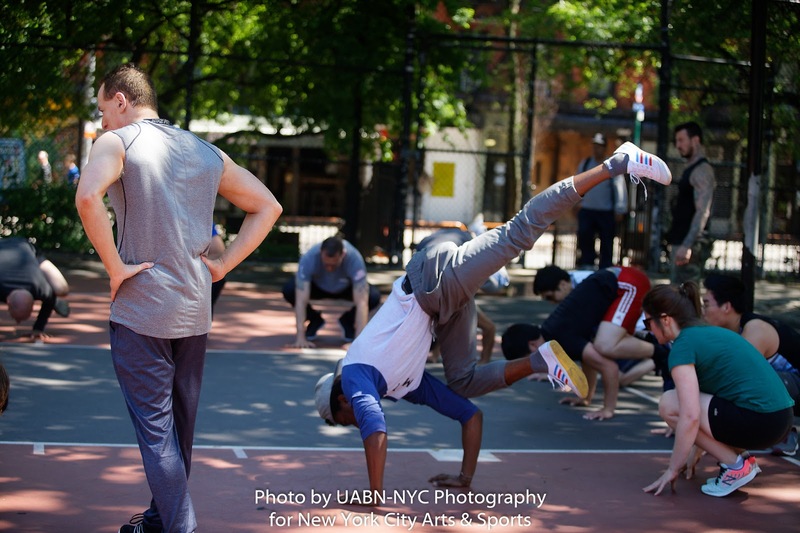 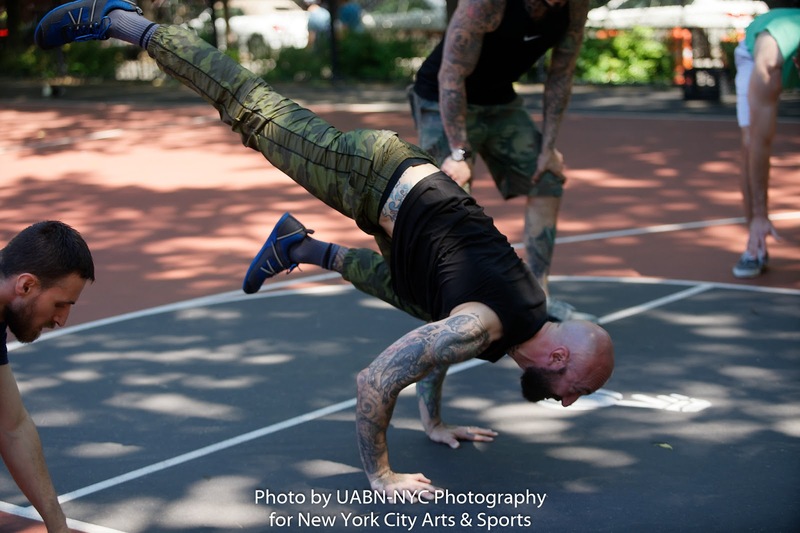 It was a pleasure for New York City Arts & Sports to be on hand for Al and Danny Kavadlo's calisthenics bootcamp held in Tompkins Square Park (TSP) this past weekend on the Lower Eastside of Manhattan. 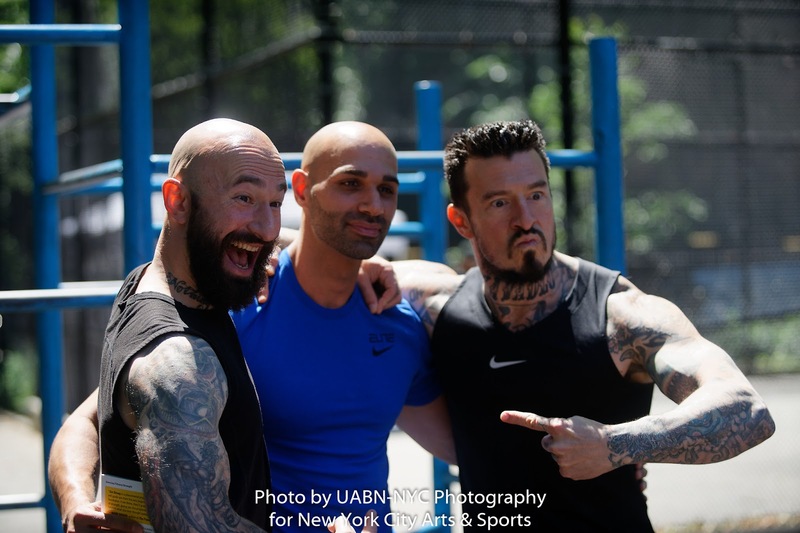 Two of New York City's most formidable trainers, Al and Danny are both best selling authors and fitness educators who train and certify fitness professionals around the world. 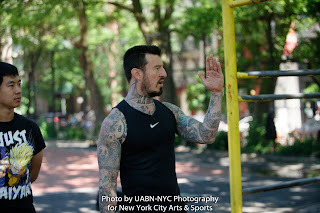 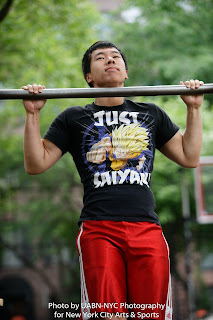 New York City, for those who are not aware, has been at the forefront of the recent worldwide uptick in the popularity of calisthenics and advanced body weight training, and the Kavadlo brothers have been two highly influential voices with both a profound impact on the above, as well as adding momentum and thus driving forth body weight strength training. 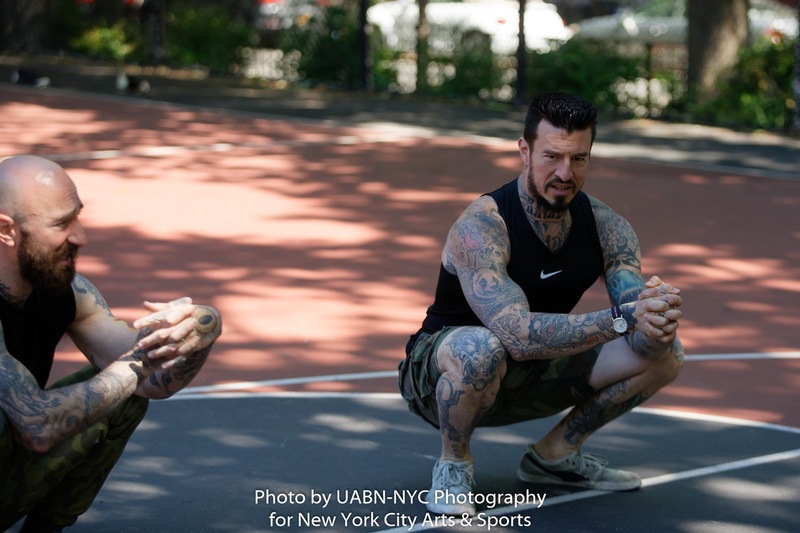 Most importantly, Al and Danny, along with a few others, have provided a more structured approach to calisthenics in the form of education and a certification. In partnership with Dragon Door, the Kavadlos have published several Amazon top selling books, with their latest being "Get Strong". 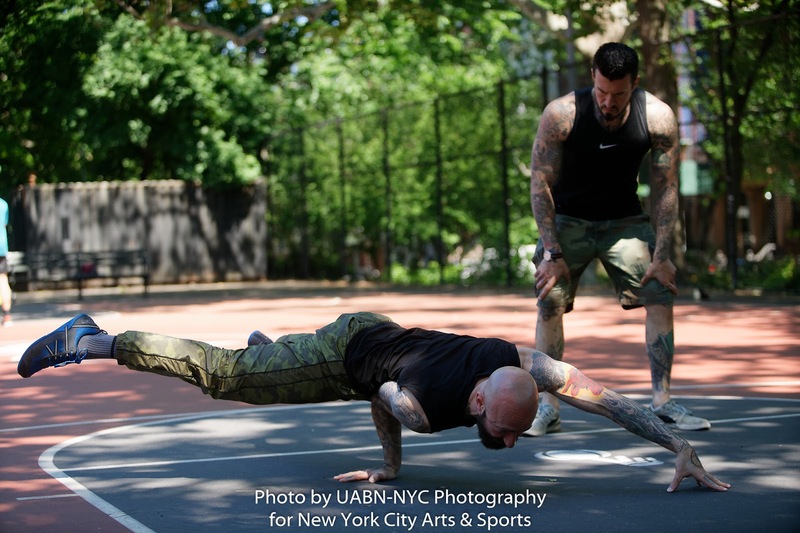 Several times a year, Al and Danny travel around the world, conducting workshops for the Progressive Calisthenics Certification (PCC). 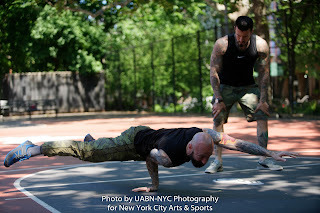 As instructors for PCC, the duo bring a structured and easy-to-follow approach to strength training through calisthenics. 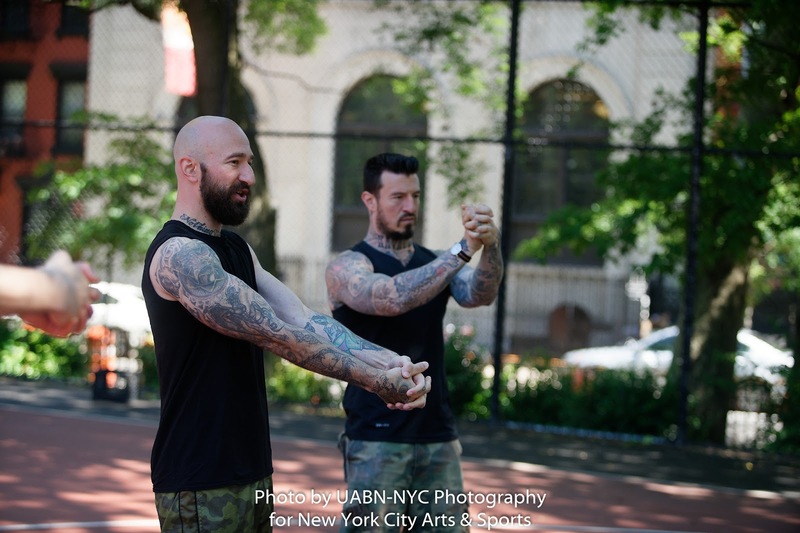 Needless to say, the fabulous Kavadlo brothers keep it rolling and have upcoming workshops here in New York City. 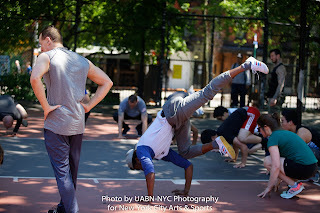 You can find details on the above, as well as many other classes from their websites listed below. 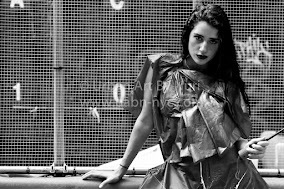 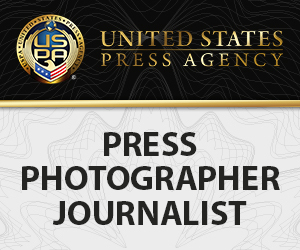 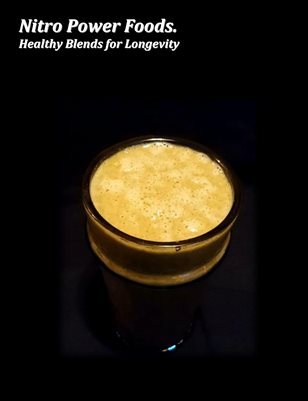 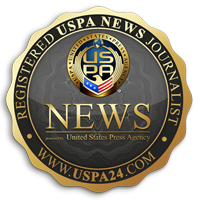 All links to their strong social media presence can be found on their sites as well. 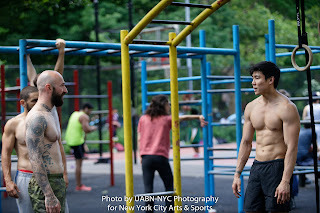 Below is a photo editorial of this past weekend's event at TSP, a very well known park in the calisthenics and body weight communities.